In My Paris Kitchen, David remasters the classics, introduces lesser-known fare, and presents 100 sweet and savory recipes that reflect the way modern Parisians eat today. You'll find Soupe à l'oignon, Cassoulet, Coq au vin, and Croque-monsieur, as well as Smoky barbecue-style pork, Lamb shank tagine, Dukkah-roasted cauliflower, Salt cod fritters with tartar sauce, and Wheat berry salad with radicchio, root vegetables, and pomegranate. And of course, there's dessert: Warm chocolate cake with salted butter caramel sauce, Duck fat cookies, Bay leaf poundcake with orange glaze, French cheesecake...and the list goes on. 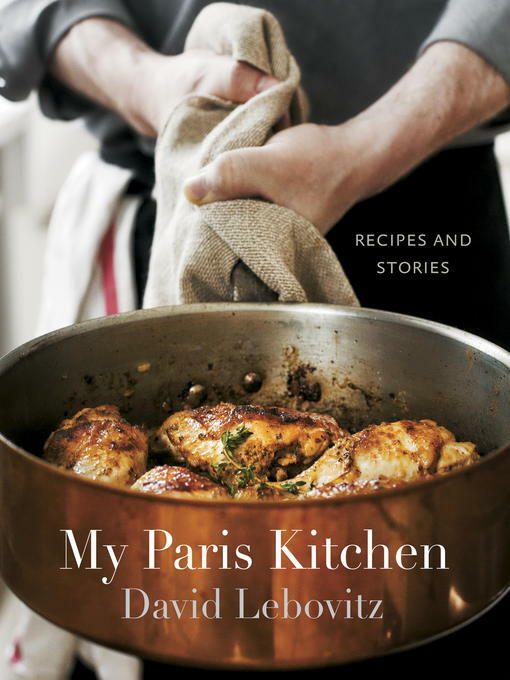 David also shares stories told with his trademark wit and humor, and lush photography taken on location around Paris and in David's kitchen reveals the quirks, trials, beauty, and joys of life in the culinary capital of the world.